But just like the models and aspiring pop idols of the world, you’ll find that putting effort into building friendships pays off in the end. If you want influencers who are excited about working with you, creating work they’re excited to promote, it pays to cultivate a friendship. Not just from a, “it’s nicer to work with people when you’re nice” angle, either—it’s better for the business side, too. What are they like? Do they have a good sense of humor? What are their hobbies? Do they talk about their family, their pets, their collection of vintage chainsaws? What kind of music are they into? What movies do they love? It’s worth doing a little digging to find out. And I don’t mean just social media stalking, either. These questions can start a conversation you might not have had otherwise. We all love talking about ourselves—give them a chance to share interests you might have in common. What a wonderful post Joshua! I personally would rather grow my social circle one human friend at a time, because at the end of the day I’m a live human being and not a robot. 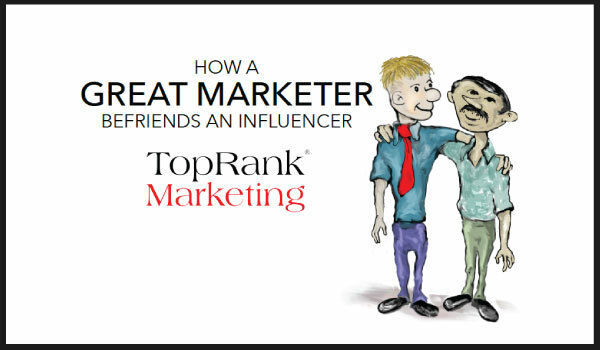 Marketers need influencers, and vise versa, so it makes complete sense to reach out, get to know, and develop a friendship that will benefit both parties. Geez…..isn’t that what being social is all about? 🙂 By the way….it’s nice to meet you. Nice to meet you, too! Thanks for reading. It’s funny how this idea of cultivating friendships can seem radical, when really it’s a no-brainer. I’m not saying you have to be best BFFs forever with every person you work with. But it’s surprising how much just taking a little personal interest makes everything better. Social media is about people interacting with each other. Sometimes it is so obvious that brands don’t realize what that means. If they take these tools as regular advertising, they will never connect with the audience in an emotional way. And as human beings we are emotional, we like people taking care of us. We are all like a plant, if you don’t water it, it dies. Influencers are real people, if you just pay them a leave you are not engaging them with your product and they relationship with your brand won’t go emotional. Instead, if you make sure your influencers love you and create an emotional relationship with your products they will be your advocates. They will talk about you even if you don’t pay them. And that is a relationship, doing things without expecting anything back. You’re so right. Not only is it a better business strategy, it’s just a better way for humans to interact. Absolutely right Joshua! Befriending someone for the sake that you need something to him is not a wise choice if you want a long term effect on your marketing campaign. Relationships are built by time and experiences by which people who interacts to each other will create a connection that lasts long. Having an influencer at your side is actually a great choice but having an influencer as a friend or bestfriend is an awesome choice in terms of business and personal life.